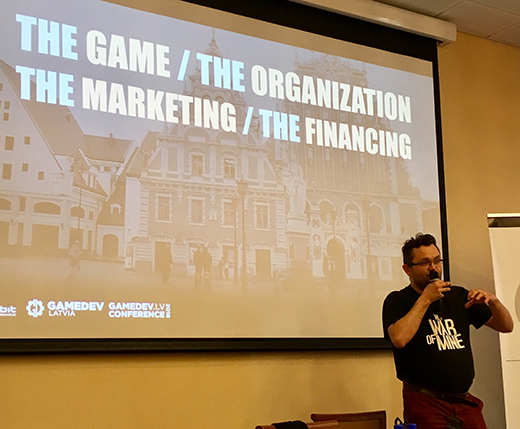 When my husband and business partner Jake Birkett is invited to speak at a game development conference in Latvia, my interest is piqued. I realise that my knowledge of the games business in this part of the world is extremely limited, and of course I want to find out more. 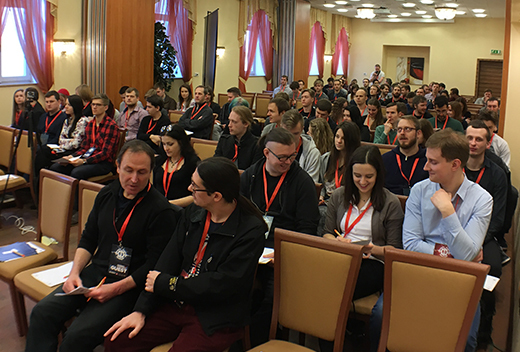 Thanks to generous sponsorship from GameInsight, the one day event in Latvia’s capital, Riga, is free to attend, and attracts over 100 game industry professionals and students. Latvia is a little country with big ambition. This small Baltic nation has a population of fewer than two million and an interesting cultural mix, partly as a result of historical rule by neighbours such as Sweden, Russia and Poland. 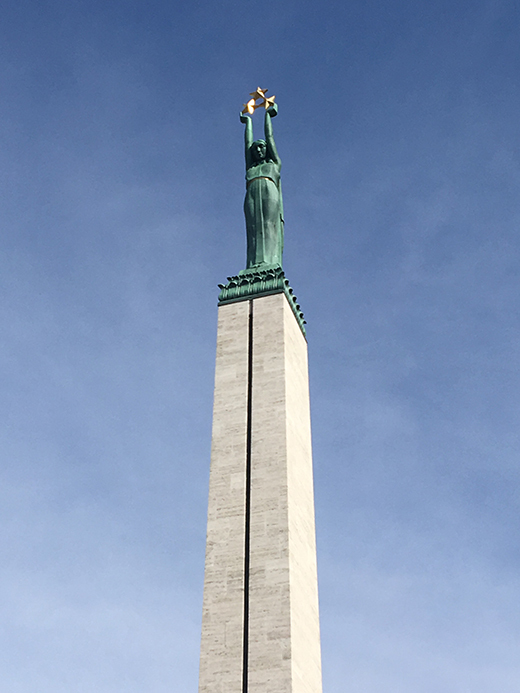 Even so, Latvia has retained its own Baltic identity and language. The Latvian Game Association (LSIA) was founded in 2014, although some of its members had been active since 2007. 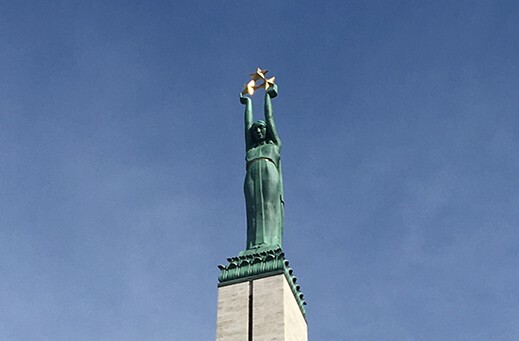 Its remit is to promote the development of the Latvian game industry and mutual cooperation between game developers, in addition to education. The industry also gets support from sources such as the Latvian Agency of Investment (LIA). 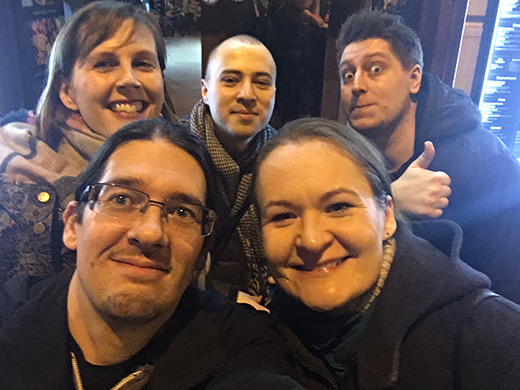 Riga is famous for its nightlife and so some of the speakers were out late sampling the local beers and karaoke scene. Our hosts from Gamedev.lv are generous with their time and have the event well organized. Imants Zarembo kicks off with his recent experience of getting a game on Steam and working with a publisher. 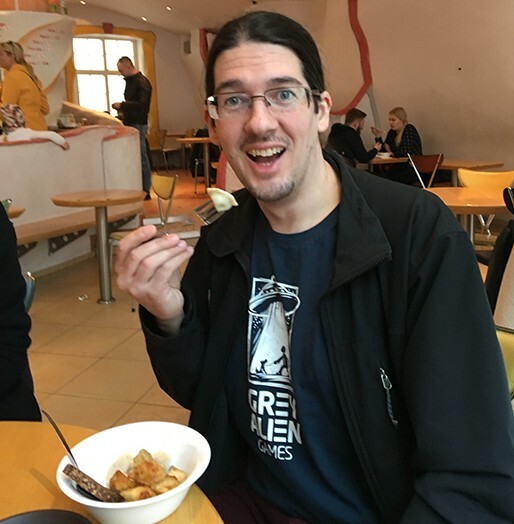 Zarembo works at Soaphog Game Studio, a team of eight that spent around four years developing roguelike dungeon crawler Rezrog, which won the Latvian “game of the year” award back in January. One of his key takeaways is to throw out early prototypes: “we made practically all the mistakes we could make,” he admits, “we kept building on the same base.” He also advises other devs: “be serious about your marketing.” The publisher experience still boosted the project and facilitated localization: despite various twists and turns taken by the business, the game has broken even. 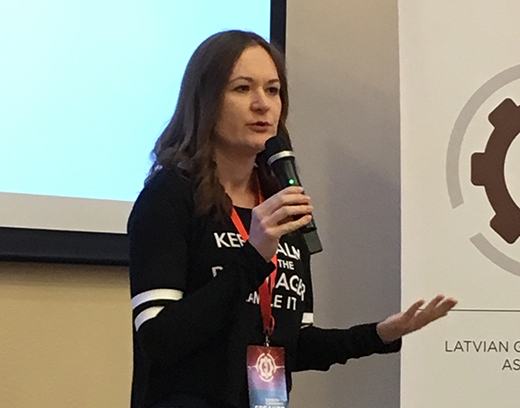 There is no shortage of great PR and marketing advice on hand, like the excellent PR primer for gamedevs by Agnieszka Szóstak, founder of PR Outreach based in Warsaw, Poland, complete with a launch timeline. Further marketing advice is on hand from 11 Bit Studios’ senior writer, Pawel Miechowski, based on the strategy deployed for standout pacifist game, This War of Mine. Miechowski has over 20 years’ experience, and goes into detail on how to create a “brand book” for your game title, the significance of selling emotion to create a marketing impact, and the importance of a consistency through all communications. His strategy paid off in terms of garnering considerable coverage from the mainstream press, he says. The takeaway? Set the marketing tone from the very start of your project and don’t be afraid to market only to a specific audience: “If you try to make a game for everyone, it’s going to be a game for no-one,” he concludes. Next Brjann Sigurgiersson (Image & Form Games) and Jake Birkett (Grey Alien Games) offer contrasting talks on game studio survival and strategy. 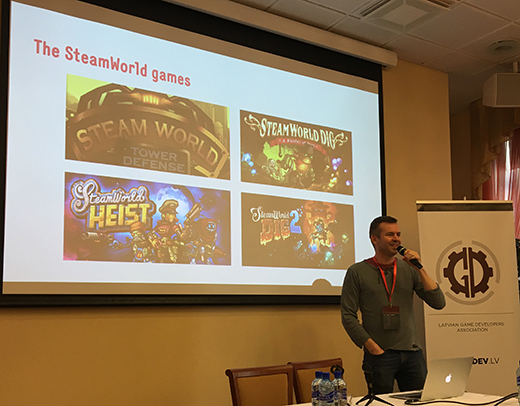 Sigurgiersson describes using the same game world and intellectual property (IP) and switching genres to create a series of games, as Image & Form has done successfully with its Steamworld games. 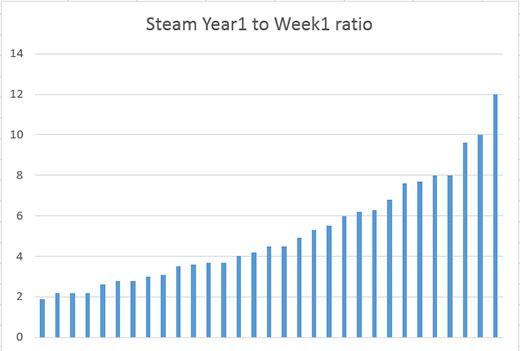 The company increased the price of its later games, such as Steamworld Dig 2 and says the advantages include reusing the same tech, creating for the same, engaged community and continuing to iterate. The downside of making a game series? “If you aren’t careful then it can be boring, your skills don’t evolve much and it feels like creative suicide,” says Sigurgiersson. “You could be restricting your consumer base.” However as a business model incorporating self-publishing and a growing studio in Sweden, it works well for his team. “Strong IP is key – life is too short to make bad games,” he concludes. The takeaway is that remaining light and agile and keeping project turnover brisk is a sensible strategy in the current market. Ari Pulkinen then treats conference attendees to a talk on branding through music, followed by a retrospective on a significant career in concept art by Bjorn Hurri. 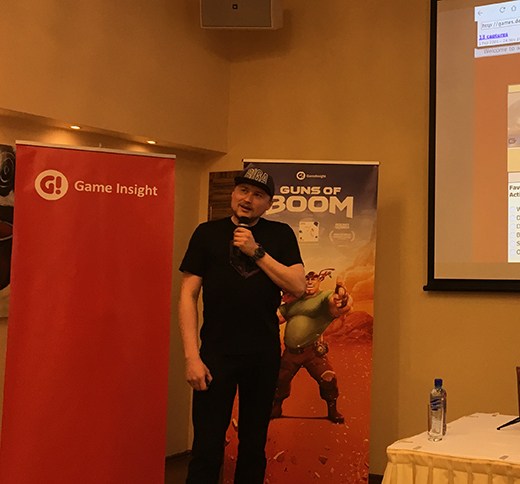 The final, high-energy talk is by Riga-born Anatolijs Ropotovs, CEO at GameInsight, with almost 20 years of game industry experience. 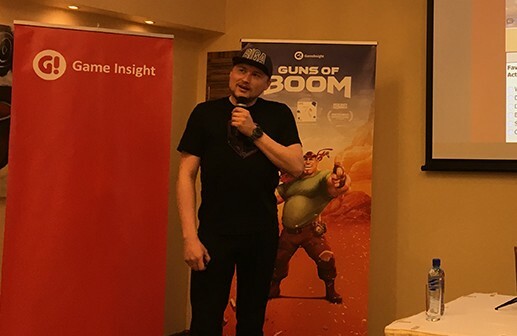 Ropotovs started out operated his own gaming community site, then went on to develop games and user experience on various platforms, including social city-building games and current mobile mega-hit, Guns of Boom. He manages large teams and has many millions of players. The key advice from his talk was that it’s OK to fail. Keep innovating and moving forward because anything is possible. It’s an invigorating message for the developers gathered in Riga. The quality of projects in the prize gamejam is high, and as we spill out to the local bar the talk is animated and the ideas continue to flow. 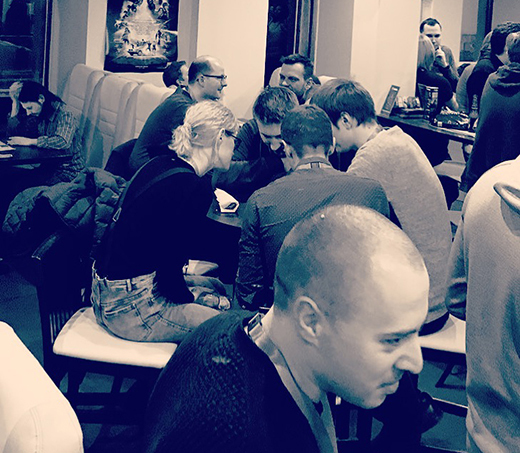 For many, the next stop is a similar event in Tallinn in neighbouring Estonia, and after that, Casual Connect in London. I wouldn’t hesitate to recommend this event in future…I have learned a lot, met some great people and have also caught some of their energy and enthusiasm, which leaves me brimming with ideas and ready to dive in to work when I get back home. This entry was posted on Friday, April 13th, 2018 at 2:25 pm and is filed under Business, Game Development, Industry News, Marketing, Speeches. You can follow any responses to this entry through the RSS 2.0 feed. Both comments and pings are currently closed. 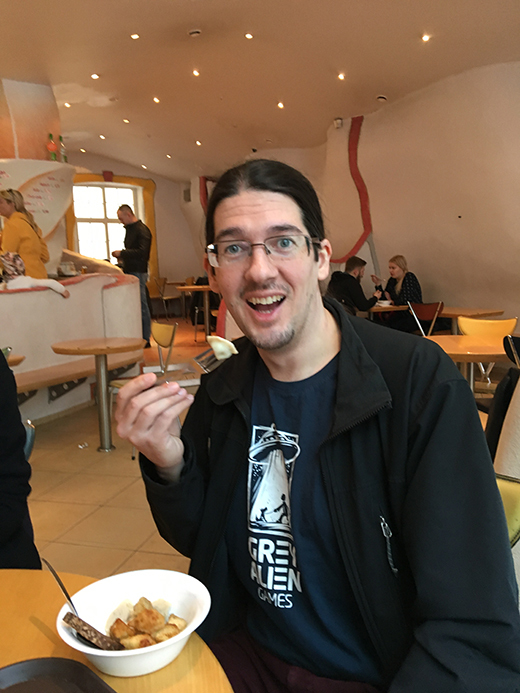 Hi, I'm Jake Birkett, owner of Grey Alien Games. I make Indie games and blog about my experiences.